Just so you know, I am only including their more popular computer animated hits, and the list excludes Flushed Away and Over the Hedge as I have not seen them. Don't really want to either. With a worldwide box office gross of $287 million, Bee Movie ranks alongside the recent Turbo as one of Dreamwork's lowest grossing films and is even more of a disappointment considering it had a $150 million budget. There's no real surprise as to why it bombed; the humanoid bee protagonist has an awkwardly terrifying look and the film is forgettable nonsense from start to finish. Rarely funny and often boring, Bee Movie is an fine example of Dreamworks using nothing but famous actors and pop culture gags to desperately find an audience. I could easily repeat my words toward Bee Movie in regards to the 2010 film Megamind, which is also a dull and often cringeworthy effort from Dreamworks that exploits a famous cast and endless gags. The story is hollow and predictable trash and rarely is the film as funny as it aims to be. Thankfully, audiences chose to go with the much better Tangled during November 2010, which crushed Megamind into a final underwhelming gross of $323 million. The Shrek series came to respectable conclusion with 2007's Shrek the Third, but Dreamworks felt the need to force in a fourth installment and dub that the final chapter instead. When that was over, the series still couldn't end - a Puss in Boots spinoff was released in 2011 to excellent box office takings of $554 million. It also earned positive reviews from critics but I myself wasn't that charmed; the story is once again predictable, cliché and poorly paced, with awkward twists and an abrupt climax. It's not horrible, but so forgettable I just didn't care. 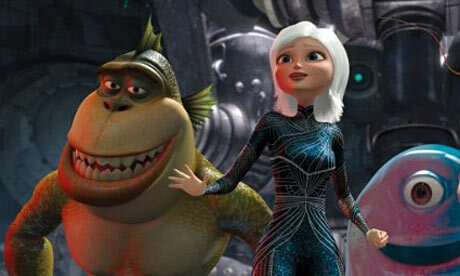 Monsters vs. Aliens is another Dreamworks effort that isn't bad, but just not very memorable or interesting. The premise is generic but the film still doesn't make use of it in a comedic or parodic way - everything feels cliché and repetitive and it just seems much younger audiences are the only ones who will really find a lot to enjoy. Alongside other Dreamworks genre parodies such as Bee Movie, Shark Tale and Megamind, this film performed poorly at the international box office, leading Dreamworks to eventually avoid this formula for future projects. Thank god. 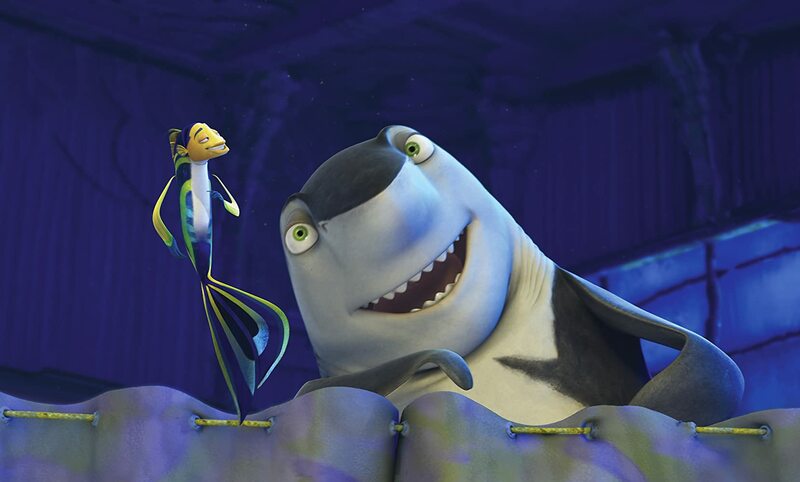 Shark Tale made me laugh on some occasions, but if we ignore the boring story and hollow characters, there's something else much worse - the visuals. Shark Tale models its fishy characters after the actors who portray them, so protagonist Oscar looks like Will Smith, and so on. This approach makes the film look extremely awkward and creepy, much like Bee Movie, of which Shark Tale shares many other qualities: stereotypes, endless pop culture gags and obnoxious music. It's funny, sure, but not consistently, and has nothing much to offer outside of shallow comedy. 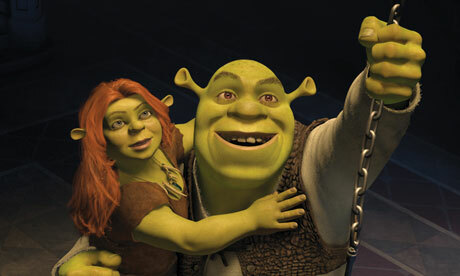 A fourth installment for the Shrek franchise was a must for Dreamworks after the series' continuous success, and it lived up to expectations by earning more than $700 million worldwide. However, while its predecessor crafted a solid conclusion to the series, the fourth Shrek feels like a tacked on addition with no real depth or purpose. There's some fun to be had in its admittedly interesting premise, but it's largely quite boring and sadly enjoys treading on familiar ground. 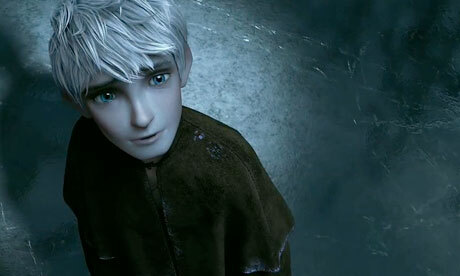 Rise of the Guardians is an admirable attempt from Dreamworks to show they can do more than generic comedies; the animation is absolutely gorgeous and the idea behind the story is very strong. It also boasts a brilliant cast made up of Chris Pine, Alec Baldwin, Isla Fisher and Hugh Jackman, but this isn't enough to save it from underwhelming execution. Jude Law performs the film's generic and underdeveloped villain embarrassingly, and the story is predictable and dull from beginning to end. Audiences weren't very enthralled either; after performing poorly at the box office, Rise of the Guardians led to a studio writedown of $83 million and the layoffs of around 350 employees. Ouch. 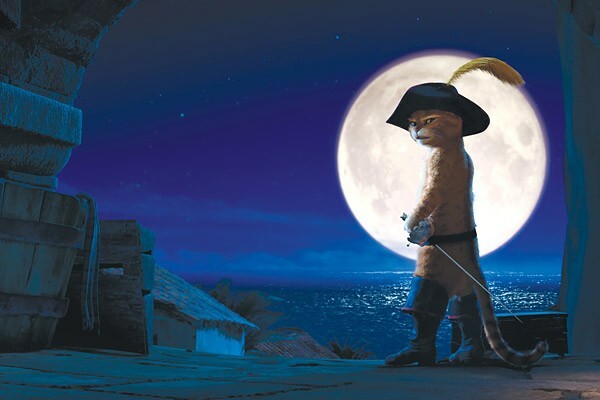 Alongside Shrek, the Madagascar franchise remains one of my favourites from Dreamworks, and the third installment thankfully continues the trend of great humour and charming characters. 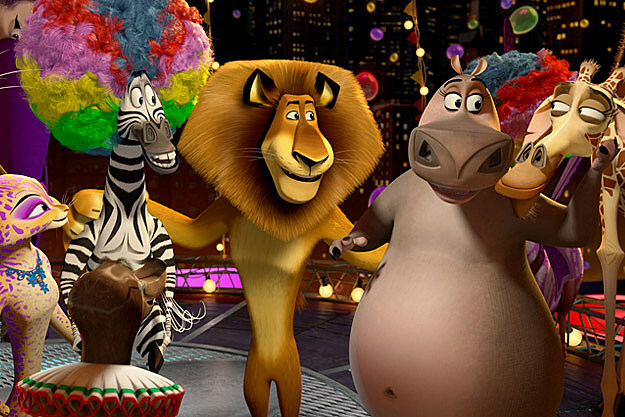 The pacing as the film begins feels extremely rushed, and it's far from a masterpiece, but Madagascar 3 remains a hilarious and wonderfully animated effort from Dreamworks, providing a surprisingly satisfying conclusion to the story arc of the loveable animal quartet trying to return home. This list will continue in Part 2, coming soon!